Although scanning is an old technique wherein you can scrutinize images, documents, objects and convert them into a digital image, it has now become a wider concept due to its three-dimension use. Yes, 3D scanning is giving us more than we expected. 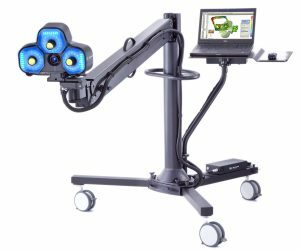 A 3D scanner examines the real world surrounding or object and gains information about its shape and colour before making it a digital image. This data is used for printing three-dimension sample models. 3D scanning in India is getting significant due to the increasing demand for 3D objects. 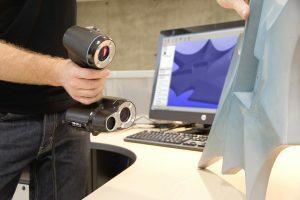 The 3D scanner concentrates on the surface of the object wherein they create geometric samples and these points are used for reconstruction of the object later. The 3D scanning procedure is divided into two types of contact and non-contact. Today, many companies are depending on 3D scanning as it is much easier to scan a real-world object rather than creating a new one. Companies hire 3D scanning services to fulfil their business requirements. There are several benefits of 3D scanning as they save your time in designing the object. They capture accurate measurements of a physical object. 3D scanning can provide you updated version since it easily replaces a missing or older part. It increases the efficiency of the designer and engineer while making difficult objects. Many 3D scanning services have come up in India as they have understood the need for quality 3D scanning for companies. 3D Spectra Technologies is a digital solutions provider who also focuses on 3D scanning in Pune. We provide state of the art non-contact, laser-based hardware and software scanning technology that produces highly accurate scan data. We provide services like onsite 3D scanning of large objects, face and body scanning, reverse engineering to native CAD formats, dimensional inspection and rapid prototyping among others.